Last October, I wrote about my visit with Austin dermatologist Dr. Steven Zimmet, who very generously gave me several SkinCeuticals products to try. Out of the four products, two weren’t a good fit for my regimen (Redness Neutralizer and Emollience), one lived up to the hype (CE Ferulic), and one was an absolute knockout. 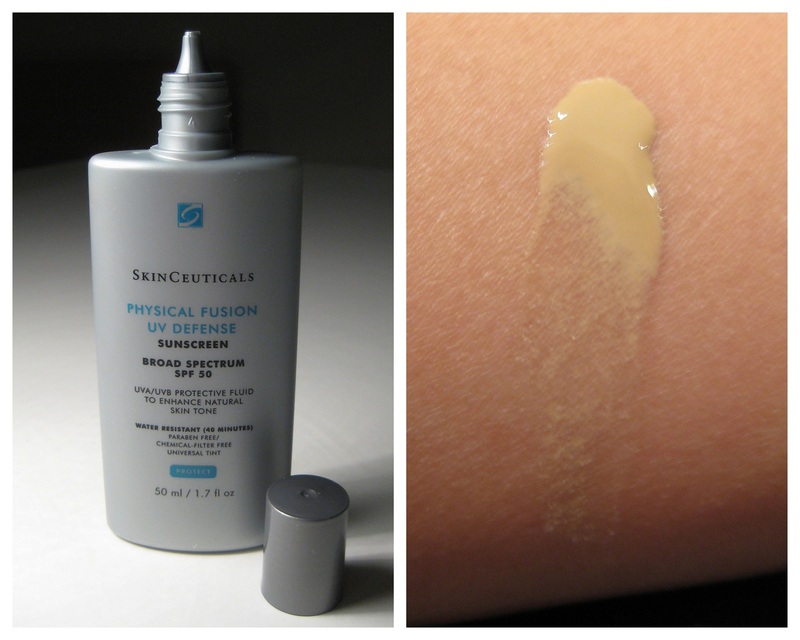 Let me introduce you to my new go-to sunscreen, SkinCeuticals Physical Fusion UV Defense. The Good: If you’ve been reading Beautypendence a while, then you know I prefer physical sun protection over chemical sun protection on account of my sensitive skin and rosacea. However, with physical sunscreens containing zinc oxide and/or titanium dioxide, you often have a thick, goopy substance that imparts a white cast to your skin when applied, due to the mineral ingredients that sit on top of the skin surface rather than being absorbed, like chemical ingredients. In contrast, Physical Fusion UV Defense has a thin, liquidy consistency with a slight, skin-tone tint. Don’t worry, once you rub it in, this physical sunscreen is completely sheer. It works wonderfully under makeup, and did you notice that it has an SPF of 50 with broad spectrum UVA/UVB protection? Impressive! And like any worthy sunscreen for your face, it’s paraben-free and non-comedogenic. The Questionable: Physical Fusion UV Defense is not the cheapest sunscreen on the market at $34 for 1.7 oz. But as I tell everyone, there are three main things you can do to help maintain youthful skin: 1) Drink lots of water, 2) Get enough sleep, and 3) Wear sunscreen everyday. Both 1 and 2 are free. If there’s one fountain of youth product we have, it’s sunscreen, so don’t let money stop you from buying a good product. Oh, and I should mention that I’m still squeezing out the last bits of that first tube I started using in the fall. The Verdict: Physical Fusion UV Defense is the bomb! This is officially my sunscreen of choice. I wear foundation nearly every day, so having a sunscreen that is easy to apply and looks undetectable under makeup is a winner on all fronts. Plus, the zinc oxide and titanium dioxide guarantee instant sun protection (chemical sunscreens take about 20 minutes to activate) without the worry of possible skin irritation. I highly recommend this product. 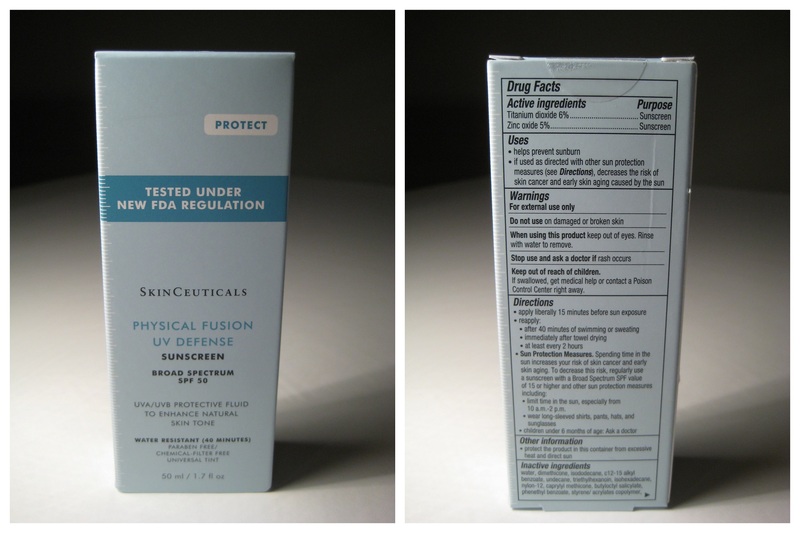 This entry was posted in Vanity and tagged Physical Fusion UV Defense, sheer, Skinceuticals, SPF, sun protection, sunscreen, titanium dioxide, zinc oxide on May 27, 2013 by jenn. Hi Stella! According to the back of the bottle, it’s Titanium Dioxide 6% and Zinc Oxide 5%. I’m not sure how that stacks up against other sunscreens?